The Chicago Hyde Park Village Board is a group of long-time residents who are concerned about the livability of our community for older adults. Members of the group have all lived in Hyde Park for years and hope to continue living here for years to come, just as you do. This desire to transform Hyde Park into a community friendly and accessible to residents of all ages motivated this dedicated group of individuals to devote hundreds of hours to the creation of Chicago Hyde Park Village. Board members have all been community activists in areas from climate change to women's rights and the rights of the elderly. Gary Worcester first lived in Hyde Park in the 1970s as a graduate student in the English Department at the University of Chicago. After living in Oak Park and then the Milwaukee area, Gary and his family returned to Hyde Park in 2000. Gary's early work background was as an editor, but the heart of his career was spent as an attorney specializing in matrimonial law in both Chicago and Milwaukee. He later became a pioneering stay at home father for his three sons, all of whom attended the Laboratory School and have since completed college. Since returning to Hyde Park, Gary has been an active member of Augustana Lutheran Church and Campus Ministry. He chaired several standing church committees and served on numerous specialized call committees. He has been a frequent member of church council and has served as council president. 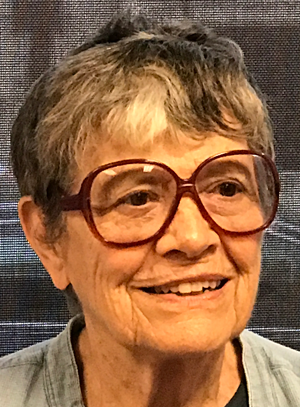 I have lived in Hyde Park since 1961, when I arrived as a bride to begin my graduate studies with the Committee on Human Development at the University of Chicago. I became a gerontologist, specializing in Adult Development and Aging, and retired as Professor Emerita from the Illinois Institute of Technology in 2010. My husband, Tom, and I grew up in Des Moines, Iowa, and went east for college (Dartmouth and Vassar). Our daughters attended Bret Harte and Kenwood Academy; Liz now lives in Woodlawn, and Karin (and John and Madeline) live in Alexandria, VA. Tom died in 2015, and in 2016 I moved out of our apartments where we had lived since 1965, and into the Promontory Cooperative apartment to begin a new era. I have been involved with CHPV since its inception. I believe strongly in our power to help each other grow older well, engaged in our community and providing mutual support. We must work to maintain an age-friendly community, nurturing all ages and diverse neighbors who share our goals. For many years I have been involved with OWL, doing education and advocacy on issues of special concern to women 40+; and I have served on the Board of the Hyde Park Neighborhood Club. I have been an active member of the First Unitarian Church for four decades. While I currently serve as Past President of CHPV, I'm happy to work in any capacity. I especially enjoy doing the Newsletter, and meet the many interesting people who are on this journey of later life with me. President of the organizing Steering Committee for the Chicago Hyde Park Village and the former President of the Founding Board of Directors, initiated discussion on the idea with a group of friends and neighbors in her home. Susan has lived in Hyde Park for over 30 years during which she has worked with several community organizations. She would happily stay in Hyde Park for her remaining days hence her interest in establishing a Village to support older residents in an age friendly community. her husband Guy have one daughter Emily who currently lives and works in Shanghai. Susan still works part-time at The University of Chicago and full-time at helping to build a Village in Hyde Park. Rita comes from the world of art museums where for over 25 years, in a curatorial and directorial capacity; she was intimately involved with fundraising, marketing and event planning. Since 2005, Rita has worked as a realtor/broker of real estate and in 2007 she helped found the Coldwell Banker Residential Charitable Foundation which has raised in its short history, over $800,000 for housing-related needs in the Chicagoland area. Rita has undergraduate degrees in Art History and Education from Boston University and graduate degrees in Art History and Museum Studies from the University of Illinois, Urbana and she has completed doctoral work in Art History at the University of Chicago. I grew up in Homewood, IL, graduated from Homewood-Flossmoor. My first "real" job was as a demonstrator at the Museum of Science and Industry where I gave submarine tours, counted visitors, took pictures in the old car etc. I have an MBA in accounting from the University of Michigan and worked in the accounting/finance field for about 40 years. After college I lived in Detroit, returned to Chicago, married my spouse, Mike Weeda, moved to Traverse City, MI. Madison, WI and we returned to Chicago in 2009. I volunteer at Strive Tutoring and coach Girls on the Run at Shoesmith School. My interests include opera, piano, running and reading. We have a son Konrad, working on his doctorate at the U of Chicago in the Committee on Social Thought and Classics. Ann and her husband Cal have lived in the community for over forty years. They raised their four children in Hyde Park and over that time they have been involved in a wide range of community activities and organizations including political campaigns. 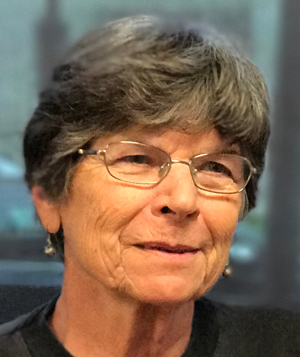 After receiving her Master's degree, Ann taught at the U of C Laboratory Schools for 30 years and after retirement wrote curriculum and was involved in math workshops in the public schools. She has remained active in educational issues. She is an involved member of the United Church of Hyde Park serving on many committees and outreach programs. Being involved in the community and reaching out to others is an important aspect of Ann's life. I have lived 50+ years in Hyde Park for 35 years in my present home on 54th Place. My house is call one of the clown houses, built for performers at the World's Fair of 1864(?). I grew up in the suburbs of Chicago, moved here after graduation from DePauw University. I received my Master's Degree from Roosevelt University and taught in the Chicago Public Schools for 25 years, most of that time at Phillips H. S. on Pershing Road. After retiring from teaching, I began volunteer work in the community serving on the boards of the Hyde Park Kenwood Community Conference (HPKCC), Nichols Park Advisory, the 53rd Street TIF (Tax Increment Finance) Council of Hyde Park, and participating in various reading programs in the local schools and parks. Now I am here at the Hyde Park Village! Allison Hartman has lived in Hyde Park almost all her life. She lives in the house where she grew up and plans to stay in it forever. She was one of the first people in Hyde Park to find out about the Village movement and has been involved ever since, as Vice President of the Steering Committee and as a Board Member now. As is happening more and more, Allison has chosen to have serial careers, first as a stay-at-home Mom with her two sons JR and Dan, then as the owner of Hyde Park Auto Service and a racing mechanic. When her parents needed more help, she stayed closer to home. After they died, Allison bought several abandoned buildings and with her son JR brought them back as viable housing. Allison went back to school to finish her BA while working on the buildings and ended up with a JD plus a Masters in Real Estate law. She now has a law practice concentrating in "Elder Law" and real estate; but, like her car repair shop, her law practice is really about helping good people. 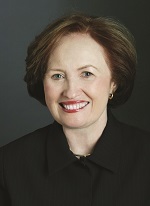 She is President of the Board of DARE, and she is on the Board of the Hyde Park Kenwood Community Conference.